Tuesday morning is the hardest part of my week, I teach four grade one classes in a row and I always finish them half-deafened, exhausted and defeated. For me, the five-year-old kids in these classes are great one-on-one and when I meet them out in the playground, but when they’re packed into a tiny classroom and asked to sit still and be quiet for more than a minute they can be an absolute nightmare. Admittedly, the rest of my week is full of lovely classes so I can’t complain too much, but still, when Tuesdays roll around once more I find myself dreaming of an escape. Are we all afflicted with the desire to be somewhere else, even when we actually love the place we’re in? I’ve heard other travellers express similar feelings but I also know plenty of people who don’t travel regularly (or wish to do so) but still crave an escape from their everyday routine. I was and am one of them. I could bang on all day about how much I adore London but despite my love for the city, throughout the four years we happily lived there we were also desperately saving up to escape and travel the world. Now, here I am on a completely new adventure, living in Vietnam. We’ve been here for three months now, the longest we’ve stayed in one place for over a year and a half and although I love Hanoi and relish the routine of everyday life here and the challenge of teaching, I often find myself dreaming of future trips. This time next year, I tell myself when I awake with dread on Tuesday mornings, we’ll be in America. We won’t be battling through humid, polluted air on a motorbike to work, we’ll be road-tripping through an incredibly beautiful, frosty autumn in New England. Or, I think: in less than three months’ time we’ll be enjoying the TET holiday with friends from the UK up in the Sapa, in the very north of Vietnam. We’ll breathe in the clean mountain air, go trekking everyday and wake up to views of stunning rice terraces rather than traffic. Particularly now that we’ve hit December and the festive season approaches, I feel homesickness for a ‘proper’ cold Christmas creeping up on me and I long for the return to our homeland next summer. 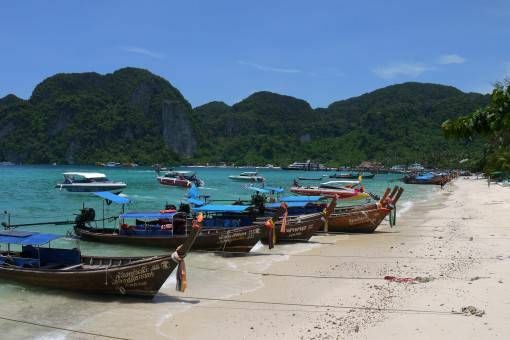 My favourite Tuesday morning daydream right now is of a Thailand holiday. As soon as we finish our teaching contracts in May we plan to fly over to Bangkok for a reunion with perhaps our favourite Asian country. For me, Thailand is the ultimate escape and it became a refuge during our fast-paced travels around South-East Asia; I even wrote a post last year about why we couldn’t keep away from the place. All in all, we spent almost a third of our initial 15-month trip in Thailand; between visits to Burma, Cambodia, Vietnam, the Philippines and Laos we returned to the Land of Smiles to relax, recharge and take a break from travelling. For one heavenly month we rented a gorgeous apartment in our favourite Thai city, Chiang Mai, and created a much-needed temporary home base and routine. Days were spent working online, making home-cooked meals and enjoying epic TV-series catch-up sessions. We’d head into town to enjoy delicious meals from Juicy for You, the Cat Café and pizza to rival that which we had in Rome from Peppermint Café. We drunk a million cheap fruit shakes and went to the Sunday night market every week. On Saturday evenings we’d sit in the UNIrish Bar eating pie and mash while Andrew watched football on TV and I read the Bangkok Post. We returned to Chiang Mai again in April to celebrate Songkran, the New Years’ water festival and I had so much fun – I can’t remember a time during our travels when I was more blissfully happy. 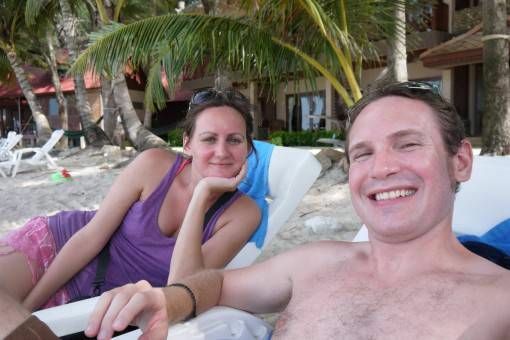 Then there were the weeks we spent down on the Thai islands when friends and family visited in Koh Samui, Koh Phi Phi and Koh Tao, where the snorkelling rivalled our experience on the Great Barrier Reef. 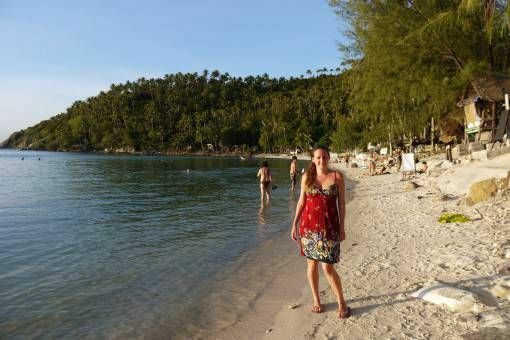 We spent an idyllic week in Koh Phangan with my friend Jo; we stumbled across the most unexpectedly peaceful beaches in Haad Salad, ate peanut-butter pancakes on Bottle Beach and were treated to spectacular sunsets every day. 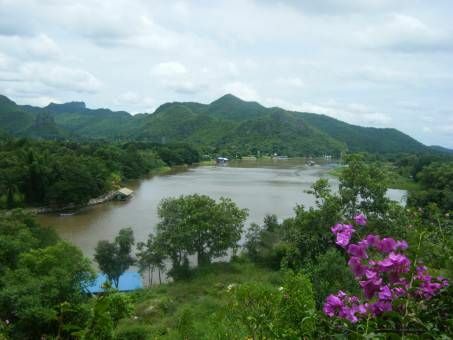 Many quiet weeks were spent in another of our favourite Thai destinations, Kanchanaburi. I had a great time at Apple’s retreat on the banks of the river Kwai with my parents and Jo. We took a boat trip, visited the topaz waterfalls at Erawan, learnt some war history and took a journey on the notorious Death Railway to Hellfire Pass. Apple’s eccentric cook made me the tastiest Pad Thai I’ve ever had and we ate banana pancakes for breakfast (yes, we ate a lot of pancakes in Thailand). Andrew and I returned to Kanchanaburi once more before our trip to Burma and the quiet pace of life in this beautiful Thai town was just what we needed to relax and catch-up with work. Ah, Thailand, I love you. So why, you might ask, didn’t we move there instead of Vietnam? That’s a question I regularly asked myself during that first rocky month in Hanoi, when we talked almost every day of booking a flight back to Bangkok. Although we seriously considered moving to Thailand, when we looked at the facts objectively we had to admit that jobs seemed better-paid and easier to find in Hanoi. 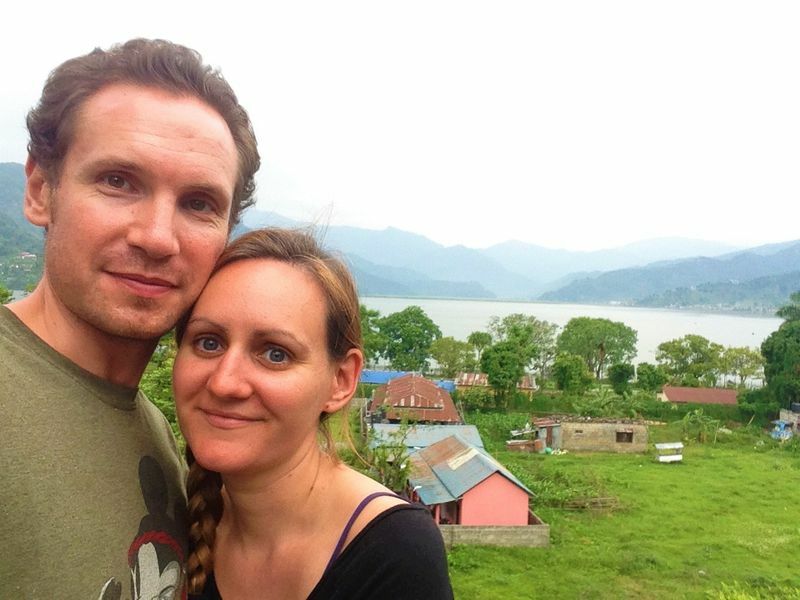 Most of all, deep down we suspected that Thailand would have been a bit too comfortable and easy for us; instead we opted for more of a challenge, which is exactly what we got when we moved to Hanoi. The hard times were worth it though and life here is good now. Yes, sometimes I wonder what it would have been like had we taken that other path and gone to Thailand instead but through travel I’ve come to realise that there are no right and wrong paths in life, just different routes and each one comes with its own pros and cons. Perhaps one day we will return to Thailand to teach but for now, at least we have our holiday there to look forward to. 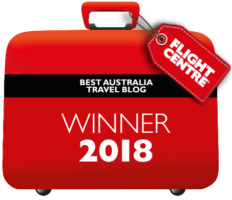 We’re taking this time to browse travel blogs to decide where we want to spend our time in Thailand. So what do we have planned for our Thai holiday? Despite being a self-confessed city lover, living in Hanoi for three months without once leaving the city has left me unexpectedly craving the beach. 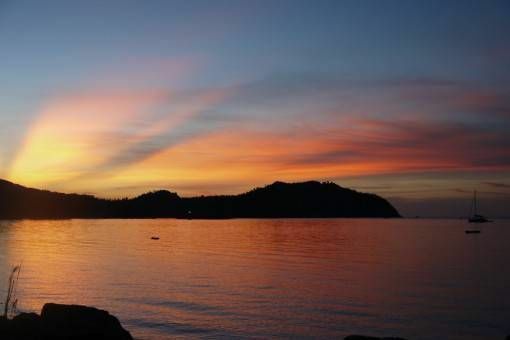 So, after arriving back in Bangkok in June we plan to head straight down to Koh Chang, a lesser-visited island for some serious rest and relaxation. We cannot possibly return to Thailand without visiting our old favourite, Chiang Mai, so we’ll also spent a week there eating and taking bike trips outside of the city, something we’ve never done before. I can’t wait. Do you often dream of escape? Where is your ideal getaway? Oh, I’m always daydreaming of escape. But there have been moments when I’ve stopped dreaming of other places and truly lived in the moment. My first summer in Montreal was like this, and my first six months living in Australia. These were the happiest times in my life so far. Daydreaming is fun but sometimes they can stop you enjoying the moment I think. I totally get your love of Thailand. I completely fell for the country and can’t wait to get back there in January. True Charlie, I try not to daydream too much and usually I’m pretty absorbed in life here because we’re teaching so much. Tuesday mornings are the times when I really wish I was somewhere else! Love your comments. Love your blog/vlog. I love Koh Karon (Phuket). When you make it to North America next year you have to travel for a portion of the time on bicycle if you really want to experience it. I have travelled Canada coast to coast 2 times on bicycle and although I have done it by car/plane/train/bus, bicycle has been by far my favourite, due to the way you get a feeling for the vast landscapes here. I regularly travel Philippines, and my fiancé and I will be in Bali for Valentine’s this year but I can definitely empathize with your feelings of homesickness. I have found that different times when travelling but always get a chance to return to home base here in Canada after about 1 1/2 to 2 months so it is not nearly as bad – however I can hardly wait for my grandchildren to get a little older to travel with us too. All of my kids have fallen in love with travel and do it regularly so I wish you a very happy New Year and hope you love North America when you get here next year. 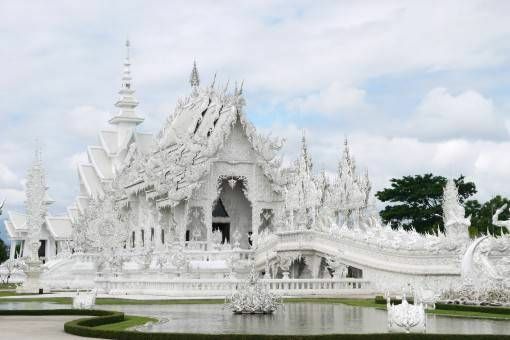 The White Temple in Chiang Rai looks incredible! Road trip through the states is also up there on our bucket list too. Oh, your month in Chiang Mai sounds lovely – my husband would love to just drink banana shakes every day! May is just around the corner-ish, and it sounds like you have a great vacation ahead of you. 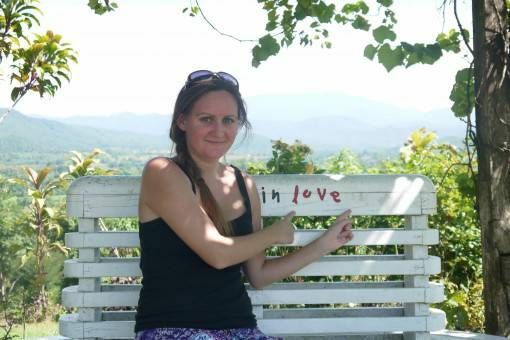 Have you been to Pai? If not, you should definitely go. It’s amazing for relaxation! 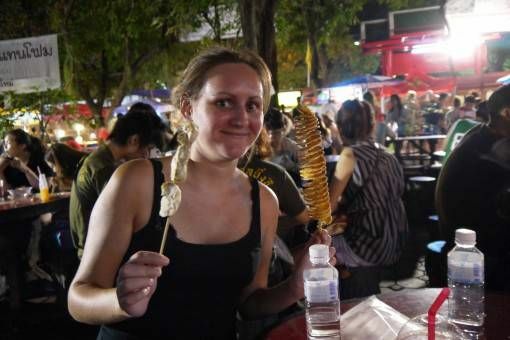 It was lovely Miriam, we can’t wait to go back to Chiang Mai next year. 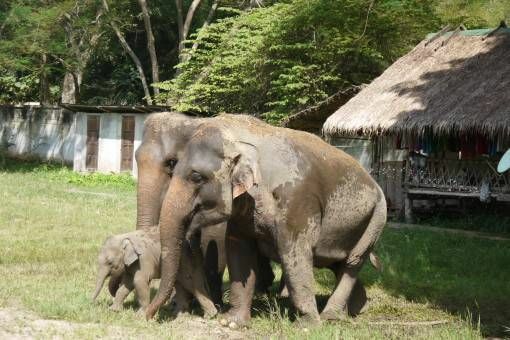 We did visit Pai several times and we loved it there too; there are so many great places in Thailand! I hear ya Amy. I think those of us who travel deal with a constant dance of maintaining a good balance of our traveling lives and our “gotta earn some money” lives! You and Andrew have really figured it out though and once you conquer this first year of teaching, it will be SO much easier, I promise! We have just got to Thailand 5 years after we first visited Bangkok… and it feels so EASY doesn’t it? The people are so lovely and even across language barriers you can make things work. Good on you for pushing yourself and not taking the easy option to move here though – I’m sure in the long run your experience will be all the richer for it. Thanks Katie 🙂 You’re right, Thailand does feel so easy, it was just what we needed in between trips to more challenging destinations like Burma. Enjoy Thailand! Thanks Rhonda, we will certainly have earned our holiday in Thailand by the time we finish our teaching contracts! Yep, I can’t complain too much Catherine as it’s just that Tuesday morning I dread; I have to lie down afterwards because I’m so drained! I totally agree!! I’ve really been wanting to return to Thailand for some reason. Guess I’ll just have to wait until next October for TBEX! Can’t wait though! TBEX in Thailand? Sounds great Beth! I can’t wait to get back over there. Thailand will be the perfect place to unwind and it will make all those dreaded Tuesday mornings worth it when you get there! Hey guys! Firstly, I love your blog title. It’s amazing! 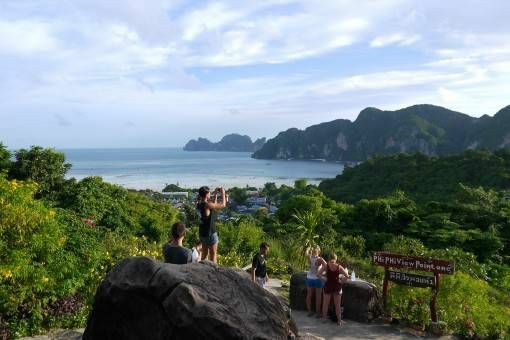 Secondly, I am in Koh Phi Phi right now (just about to head to Maya Bay), but I am in the process of making the same decision you mention here. I would love to teach in Thailand, but Vietnam or China seem like better options financially. I am so excited to have stumbled on your blog :). Cheers!